A story of family - and two sisters who have now survived and one particularly reaching out to the other sister with a hope of drawing closer and being a family once more. Reen left the Burrow under less than pleasant circumstances. On her father's sudden death, her mother withdrew from her and never attempted to bridge the divide. Now diagnosed with dementia and very ill, Reen has returned mainly out of a sense of duty to just pay her respects and leave the next day. She did not think that meeting her ex boyfriend and her sister and seeing her mother in her pitiful state would lengthen her stay. Rose her sister has a fantastic tale to tell of her mother's past and one which is unimaginable and not very plausible. 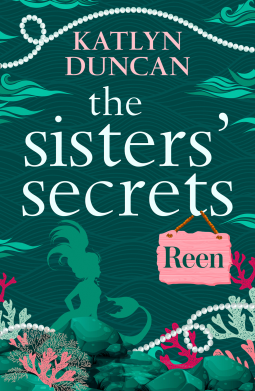 Rose is of the mind that her mother was a mermaid at some part of her life, and that accounts for Reen's brilliant swimming performances in the past. This was the basic story. I found the mermaid part a bit difficult to fathom or understand. I also found the writing rather stilted and this took away from the story. The highlight of this story for me was that life is short, you never know which way life will turn out to be and it is better to forgive and forget and move on, rather than hang on to bitterness and history which can anyway not be erased. The book was sent to me by Netgalley for an unbiased review, courtesy of HQ Digital.